GMS was founded in 2006, with the goal of proudly serving the community through various philanthropic endeavors that advance the idea of continued education, leadership, family and community service. Robert and Gloria were the caring parents of twelve children and yet they found the time to be active in the community. Robert was the owner and proprietor of Gaston's Barber Shop for more than 30-years. 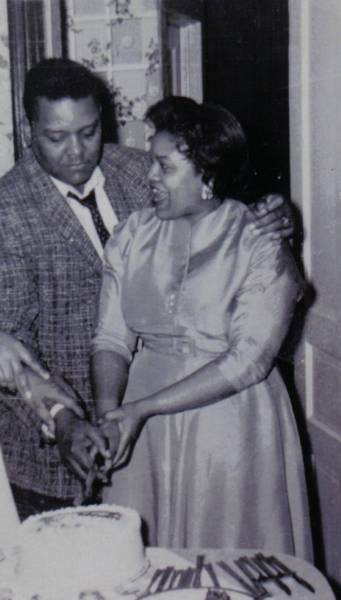 Gloria, best remembered for her cooking, wit, and poetic writings, served on the Human Relations Commission in the 60's and worked for years at the Illinois Soldiers and Sailors Children's School (ISSCS) as a night Administrator where she was dearly loved. Both instilled the importance of education in their children as well as the many children who were a constant fixture in their home. They touched so many lives and made positive, indelible impressions on many. The Gaston Memorial Scholarship is awarded annually to a graduating Senior from Illinois who exemplifies family, leadership and community service, and who has been accepted to an accredited college or university. Each year an awards ceremony is held in honor of the recipient, with a featured speaker who is there to encourage and inspire all in attendance. Saturday, July 13, 2019 at 1:00 p.m.
at The Bloomington Center For the Performing Arts (BCPA), 2nd floor for our Awards Ceremony. This year we will be celebrating 15-years! Thank you to all of our supporters for helping us to continue to uplift youth within the community in this manner. Please join us (open to the public - Refreshments). PLEASE CONSIDER BECOMING AN ANNUAL DONOR: Please visit our donor information page for more details. Awarding excellence in family, leadership and community service. Celebrating 15-years! Thanks for your support!